This is Bobby! 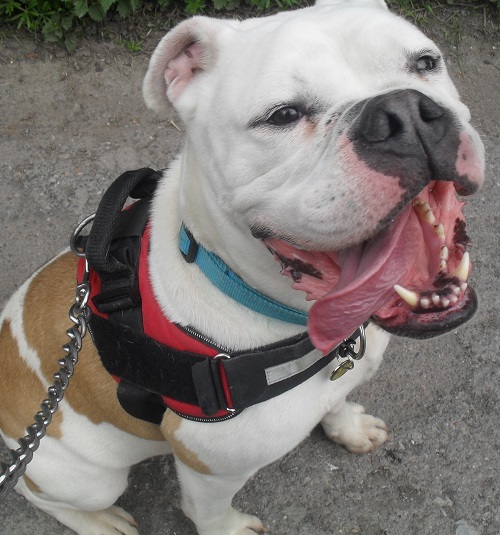 He is a lovable and lively Bulldog-cross who is super-keen to meet everyone. He is playful, really enjoys his toys and is always happy for a fuss. Bobby is undergoing regular training and learning his manners quickly and also learning to walk nicely on lead so he would like his new owners to continue with this as he really enjoys his training. Bobby may be too much for smaller children but is good with other dogs and rather scared of cats! To see a few more photos of Bobby click on his gallery below.